The permanence of the switching moments of the program and correction controls constitutes the main difference and peculiarity of the suggested algorithm. The switching moments and the weight coefficients are found a priori and then inserted in the control device. 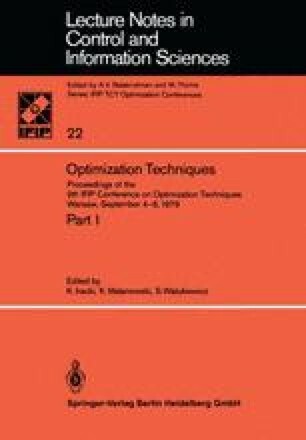 The absence of calculations in the control process gives us the possibility to use this method for controlling high-speed dynamic processes described by the systems of linear differential equations of higher order with a large number of controlling parameters.